Despite the trending “boom” in production of tinctures, extracts, capsules, suppositories and other products, how many of these cannabinoid therapies can actually be considered medicine? Founder @ the Union Francophone pour les Cannabinoides en Médecines (UFCM) and CEO @ alpha-CAT (Cannabinoid Analysis Test) a company that successfully integrate ease of testing and accuracy. “The future of medical Cannabis needs to be based on quality control” says Béguerie, who works actively to introduce a high-quality system for better production and usage of medical Cannabis. 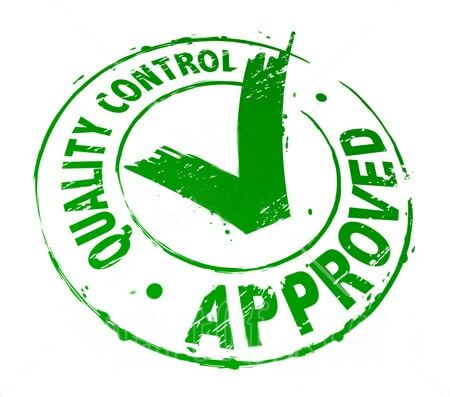 Why should we quality control? There is currently an exponential growth in interest for medical Cannabis from patients, doctors, industries and governments. Many Countries have regulated Cannabis for medicinal use, but most of them have a lack of quality control. Moreover, legislation is leaving a “gray area” for products lacking THC and containing Cannabidiol (CBD), such as CBD oils and extracts, marketing them as “food supplements”, and generally allowing their sales beyond any certification or standardized control. This issue can have dramatic consequences for patients, who hence relay on products without clear traceability. The FDA has reported more than a few frauds amongst “CBD-containing” products sold online, which lack certification (reporting false % contents) and do not meet standard criteria of production. This shows how the formal re-introduction of Cannabis in medicine requires the introduction of a quality and safety-control management system. First and foremost Quality Control should guarantee transparency on production system from seed to end product. American for Safe Access (ASA) is an American association that is leading the way for ensuring safe and legal access to Cannabis for therapeutic uses and research and, with more than 50,000 members and a decade of dedicated work, is now promoting a program “calibrating the medical Cannabis industry for excellence”. The program is called Patient Focused Certification (PFC) and is currently available throughout USA. PFC takes on the urgency of relying on clear instructions that aid patients, healthcare providers & companies identifying high-quality medical Cannabis products & services, and adopting ethical standards. “We produce Cannabis (for medical use) in order to obtain cannabinoids, which are micro-molecules stored by the trichomes of the plant. In order to assess the quality of our products, we need to use an accurate testing system that can provide us a clear insight of cannabinoid potency, levels of active components and variety”. A breeder should use analytical methods in order to produce a stable, reliable and consistent product. So far Cannabis and cannabinoid medications have been used therapeutically for their THC and CBD content, and we are only just starting to study and discover the benefits of other plant constituents, such as acidic cannabinoids, terpenes and other compounds down the biosynthetic pathway of Cannabis. Selective breeding is a valuable tool in order to characterize specific production and understand mechanisms inside the plant that determine the levels of active constituents (flavonoids, terpenoids, cannabinoids…) for better medical application. Each chemotype can be followed throughout by testing: harvesting time can therefore match accordingly to the phytocompounds required. Each Cannabis strain produces a variety of compounds at different concentration throughout flowering time; Hence, their production can be scheduled around analysis, in order to obtain more, or less, of certain important constituents, based on therapeutic needs. As Baguerie beautifully states “ There is no real need for new strains; With accurate methods, the required phytocomponents can be selected within known varieties. We need to focus more on safety, quality and patients care ”. 1) Which cannabinoids are present? You should know clearly what compounds are present in your therapy. Your provider should distribute a product with clear traceability. Qualitative testing is the method used for investigating this kind of information. Most analytical methods can also provide additional information regarding non-cannabinoid plant constituents (such as flavonoids and terpenes) also present in your plant sample. Qualitative testing can be done by a number of methods, the most utilised being Gas Chromatography Mass-Spectrometry (GC-MS), High Performance Layer Chromatography (HPLC), High Performance Thin Layer Chromatography (HPTLC), Thin Layer Chromatography (TLC). Your provider/dispensary/physician must show an analysis of the same batch of your sample, carried out by a third party laboratory. 2) What are their precise concentrations? This is again very important, both for your physician as well as to the patient. In order to assess the correct dosage, and titrate dosage (follow through adjusting accordingly the posology with patient response), cannabinoids concentration must be known. The analysis required for this kind of information is called Quantitative testing, and usually is carried out by Gas Chromatography Mass-Spectrometry (GC-MS) and High Performance Layer Chromatography (HPLC). 3) What are the therapeutic differences between various strains of cannabis? Based on genetics (and environment), each strain of Cannabis will provide a different array of essential oils, cannabinoids and flavonoids. Each different composition may be more beneficial to one rather than other pathology. The physician and provider should be able to advise you ascertain the most suitable treatments for the patients’ condition, but having your own baggage of education is often critical in order to make the right choice from start. You may start your search through the pathology section, here. Happy reading. Information empowers. 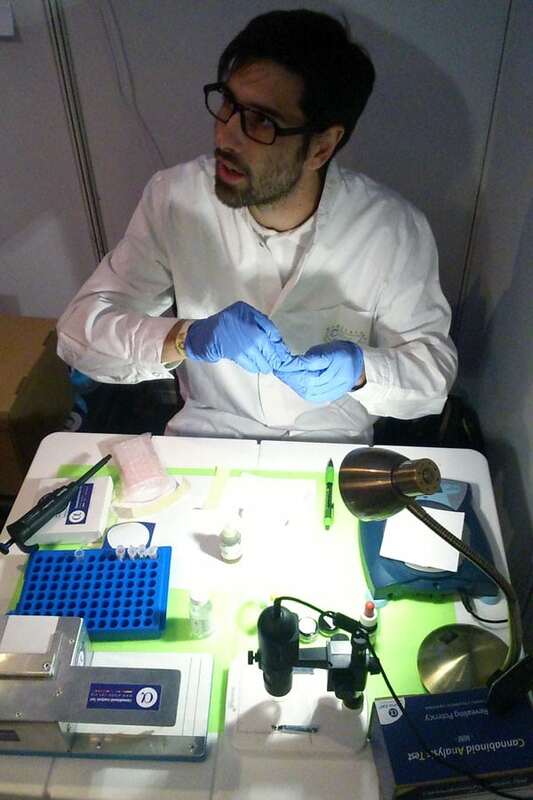 Have you already tested your cannabis? Check out what we offer on our Nature Going Shop! Previous story Does Cannabis increase creativity?